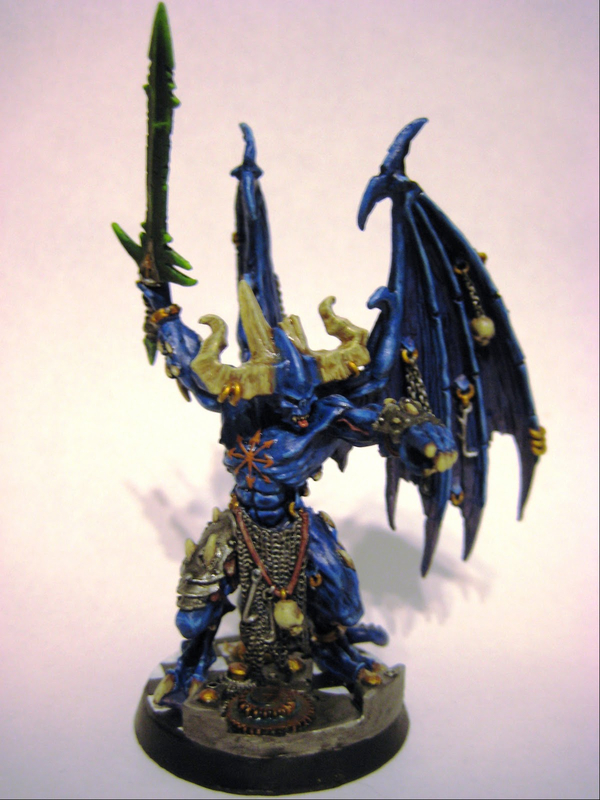 So I wrapped up the Daemon Prince over the weekend. I'm pretty pleased with him. I think I should have done his leg and bracer in gold too to make it stand out but aside from that I think it came out well. I decided to do the weapon like I did for the aspiring sorcerers and I think I'm getting better at that too. I tried doing some blend to purple. I might go back and try to make the tips a little lighter but overall I think the effect looks alright. So now he can be fielded without me having to much about with him not being attached to the base. Hooray for small victories!